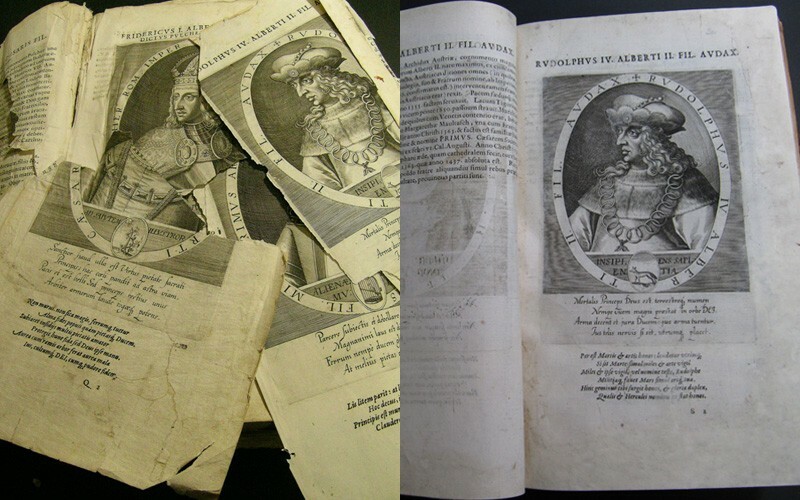 Our main focus lies on the restoration of antique books, papers, documents and maps. 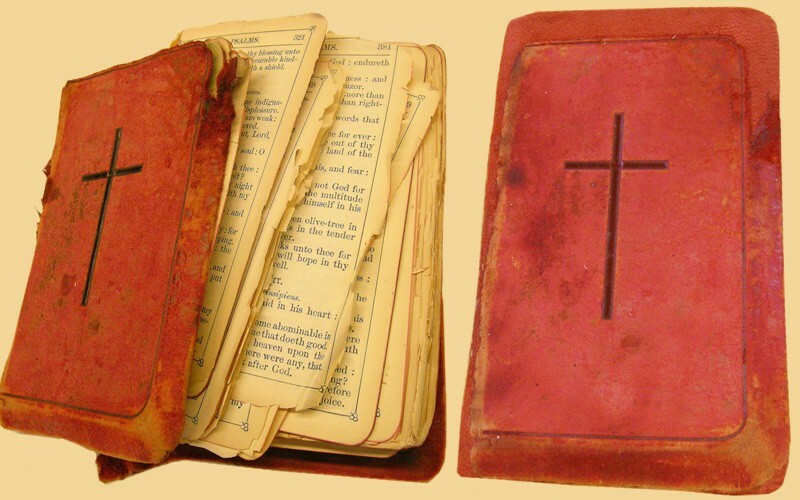 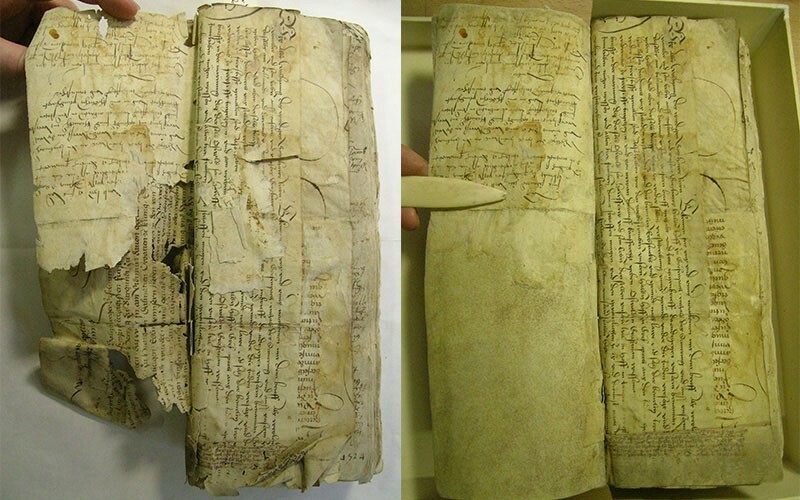 Furthermore, we do not only repair, for example, old bibles, but also e.g. 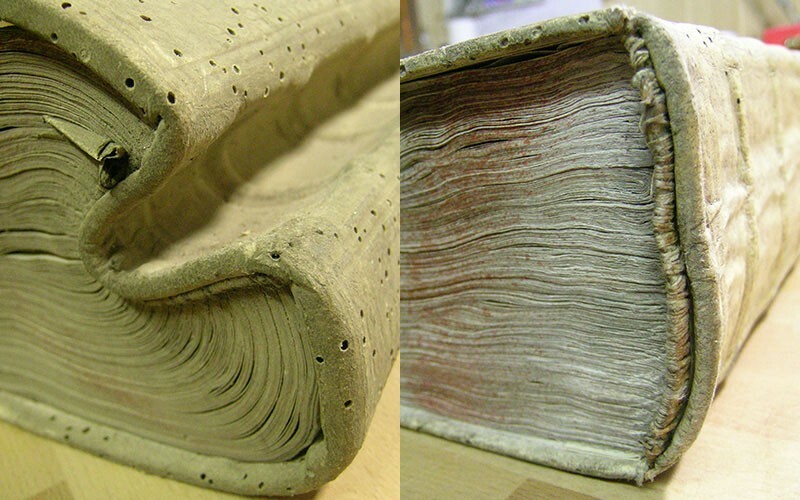 cookbooks and contemporary books that were overly exposed to wear and tear. 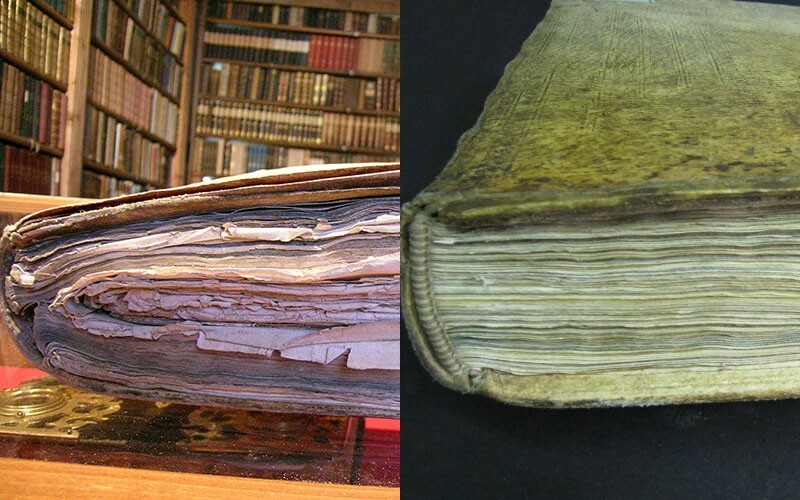 Restoring does not mean ” to make something new again ” and thus is different from repairing. 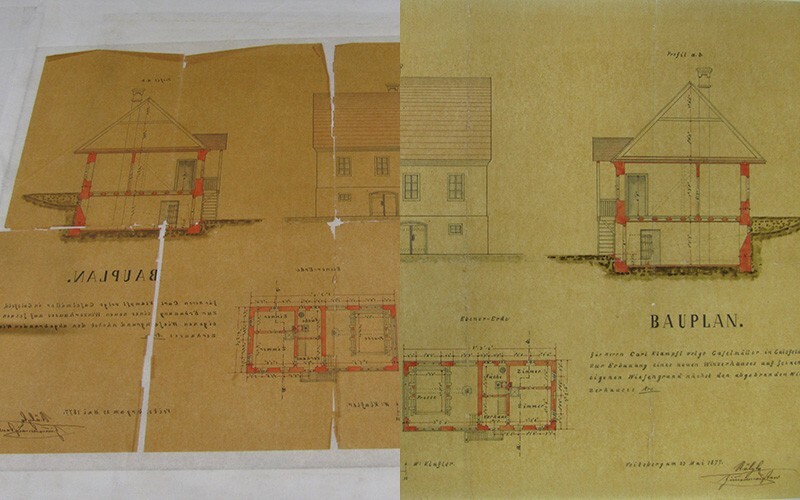 In detailed work, numerous pieces have to be put together again – pieces that were, for example, torn apart by careless handling and/or storage or damaged by attacks by microorganisms, harmful insects and small rodents. 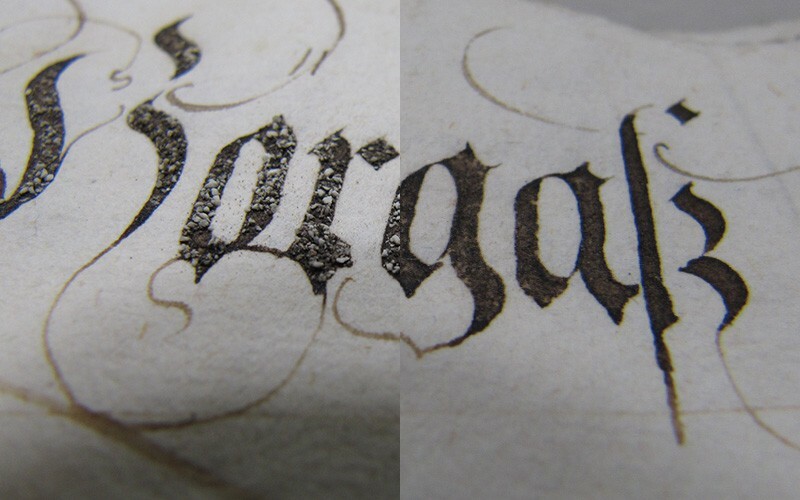 When conducting this kind of detailed work, we use techniques and materials that were used at the time the piece was originally created. 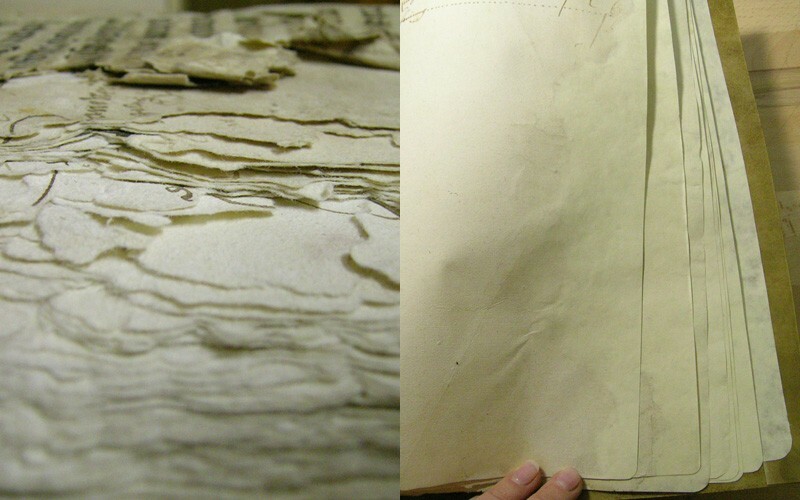 Furthermore, we exclusively use reversible adhesives and acid-free materials. 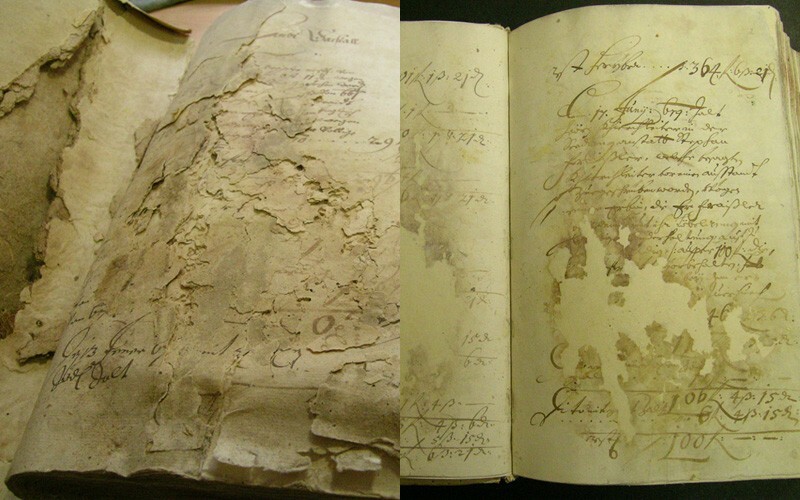 Upon request, we supply a restoration report and /or digital photo documentation. 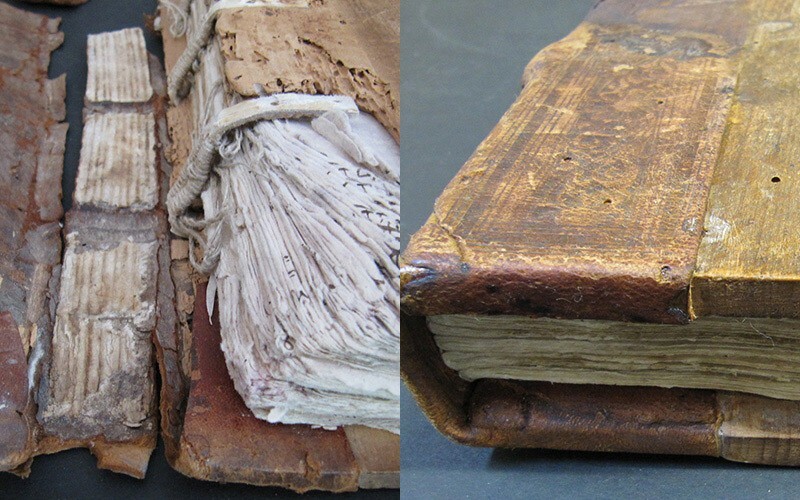 Additionally, each book restored comes with an acid- free slip case if requested, to protect the precious item against further damage.We also conduct work for the Rein Abbey north of Graz and have been responsible for the restoration of the extensive library and archive for years.